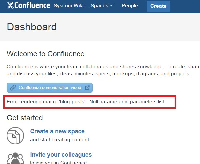 [CONFSERVER-38095] Blog Post Macro fails when used in the Default Welcome Message template - Create and track feature requests for Atlassian products. Using the Blog Post Macro fails when using it in the Default Welcome Message template. The blog post macro displays as normal. There are no errors present in the logs.